The Seti River Gorge in western Nepal (not to be confused with the river by the same name near Annapurna) is an exceptional example of wild nature, with its lush forest mantle, myriad rare plant species and array of unique Himalayan wildlife. 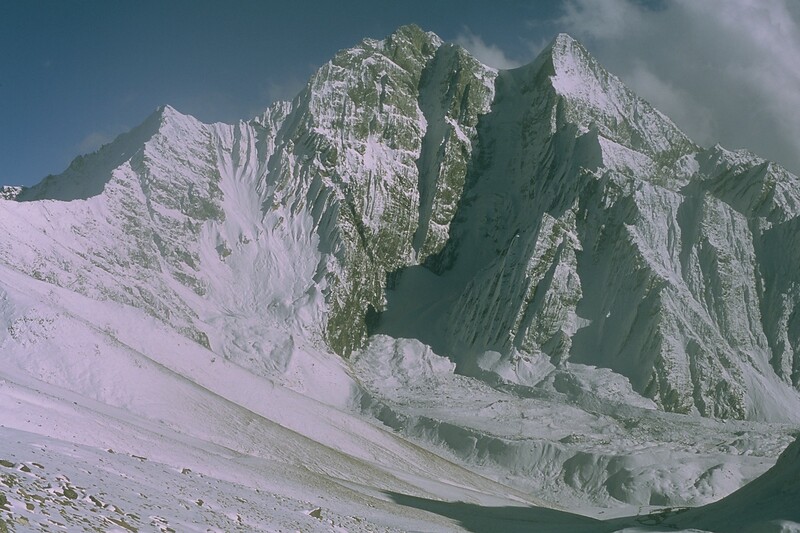 The Seti Valley has been a major pilgrimage route since ancient times, with the Urai pass (5207 m) opening out at its head providing access across the Himalayan range from Nepal and India to the Manasarovar lake and the holy Mount Kailash in Tibet. 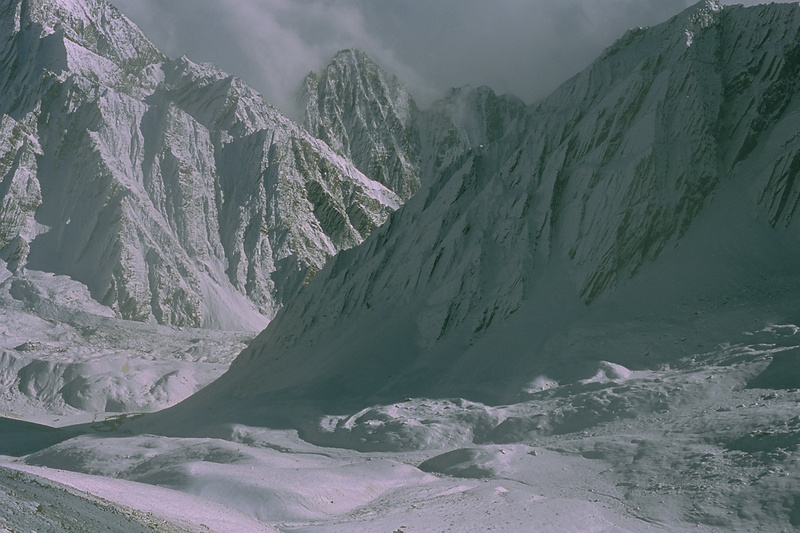 Travellers are not only pilgrims; merchant caravans and nomads have long used and continue to use the Seti gorges to drive yaks and goats or sheep loaded with essential supplies from one side of the mountains to the other. Yet this extraordinary natural environment interlocked with a deeply entrenched human activity is now in grave danger. A project is about to be approved for a motor road between Talkot (immediately north of Chainpur) and the border formed by the Urai Pass. 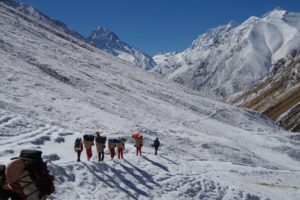 The excuse being used to justify it is that it would facilitate the flow of pilgrims by drastically reducing the exertion of making the ascent. People of the Seti Valley. Photo provided by Hermann Warth. The profits it would yield would end up primarily in the pockets of a small group of merchants who own automobiles and trucks. Why ever, one wonders, should Nepalese taxes be made to cover the exorbitant costs of building and maintaining a project so senselessly aggressive and unjustifiable? Unjustifiable because, in reality, Nepal is about to open two other new highways to Tibet in the same area: the so-called Mahakali Corridor slightly to the west, and the Simikot-Hilsa route or the Lapche Pass slightly to the east. Pilgrims wishing to avoid the long trip on foot could easily use one of these alternatives. With this in mind, aware of the stakes and concerned over the spreading commercialisation devastating the Himalayan ranges, we mountaineers of the world strongly and respectfully request the Nepalese government to realise the inestimable value of the Seti river gorges and provide for their rigorous protection. In particular, we recommend making every effort to have the Seti gorges included on the list of UNESCO World Heritage Sites, thereby confirming them as the noblest, most arduous and spectacular pilgrim itinerary across the Himalayan range. 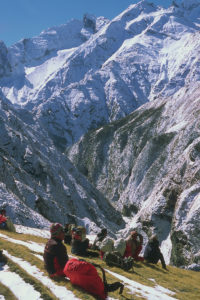 Seti Gorge trekking trail tourism, Nepal. Photo provided by Hermann Warth. At the same time, the communities of Dhuli, Kanda, Dhalaung and Talkot should be helped to organise alternative forms of tourism that foreground the area’s widespread hospitality, trekking, mountaineering and other outdoor activities. 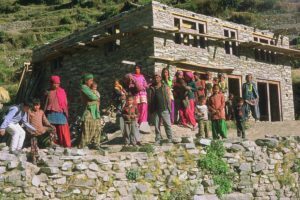 The local population could be employed in non-invasive bridge stabilisation, trail maintenance and outfitting of basic rest camps; the earnings involved would also go towards improving their living conditions. The Seti gorges do not deserve to be violated in the service of the myth of a false progress anchored obsessively to motorized vehicular traffic! We are collecting signatures from Mountain Wilderness Guarantors, scientific committees members, well known and simple mountaineers, trekking experts, nature lovers, ecological associations.